A Very Heavy Agenda Part 2: How We Learned To Stop Worrying and Love the New Neocons from Robert Martin on Vimeo. United Airlines personnel were subjected to a surprise training exercise 12 days before 9/11 in which they were led to believe that one of their planes had crashed. The exercise was so realistic that some of them ended up in tears or became physically sick. 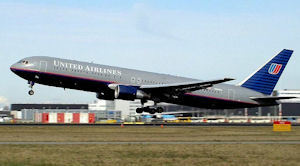 Consequently, on September 11, 2001, when two United Airlines planes were hijacked and then crashed, the manager who organized the exercise apparently thought his employees had mistaken reports about the terrorist attacks for part of an exercise and therefore told them, "This is not a drill!" Furthermore, United Airlines had previously conducted other exercises that were based around scenarios resembling aspects of the 9/11 attacks, which may have caused its employees to be confused on September 11 over whether the crisis that day was real or simulated. The scenarios included hijackings and planes crashing into buildings. In 2015, there were 385 terrorist incidents around the world according to Wikipedia. Of these, 94% were attributed to Muslim perpetrators or occurred in Muslim countries surrounding the world’s most resource-rich region. The geographic pattern behind these and previous attacks suggests that terrorism is more a function of the need to seize resources than it is about religious or political beliefs. The terrorist events of 2015 continue to fuel speculation that most terrorism is government-sponsored and focuses on achieving political objectives.